”doing a burnout on a scooter” — Comment from person that made video. ”agriate and restonica !” — Comment from person that made video. An interview with Will Lewis – Suzuki Burgman 650 rider. ”MotorcycleUSA.com went to the 2007 Suzuki Burgman scooter press intro. Did our man Bart come away impressed in San Francisco? You’ll find the answer at www.motorcycle-usa.com” — Comment from person that made video. ”Riding into London on a nice summer day. Video speed increased to fit into one clip. Video shot with Casio exilim EX-S500 mounted on left wing mirror with a suction mount.” — Comment from person that made video. ”Tutorial Part 3 of 3, installing the new windshield and safely replacing all parts on the 07/08 Suzuki Burgman 400.” — Comment from person that made video. Leaving CycleRider on my Burgman 650 to go home. Thought I would check my FidHawser camera mount with my Kodak V705. It’s a no brainier, worked very well, and is a good match for my V705. ”Tutorial Part 2 of 3, assembling the GIVI Windshield parts prior to installation on the 07/08 Suzuki Burgman 400.” — Comment from person that made video. ”Short ride from underground car park. Stopped video when it started raining. 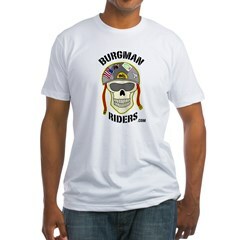 Check out more of the Burgman rides and my other videos at: http://video.google.co.uk/videosearch?q=mkoprulu&so=0&num=100” — Comment from person that made video. ”Tutorial Part 1 of 3, showing the steps necessary to safely remove the stock windshield on a 07/08 Suzuki Burgman 400.” — Comment from person that made video. ”Running my Suzuki Burgman 650 on Shelby County 26 from Columbiana to Alabaster” — Comment from person that made video.